A website is able to enhance your business presence, unlike the traditional business that operate 9am-6pm, it provides you a 24 hours, 7 days a week and 365 days storefront. Consumers can access to your website, products and information from anywhere, anytime in the world and also generates more profits for your business. Creating a website also help you save cost. Online advertising is cost effective compared to print advertising, it allows you to make changes and wider demographic reach. It is able to keep your audience informed and update in real time, save cost in advertise your product through printing flyer, catalog etc. Creating a website is simple and easy. You can use some Free Online Website Builder to build and maintain your website in just few minutes. Plus, you don't have to rely on anyone to update it for you, the technology help you to generate and sync your information any time. On the other hand, you are also allow to edit and customize your favorite theme and design to make it professional and nice. 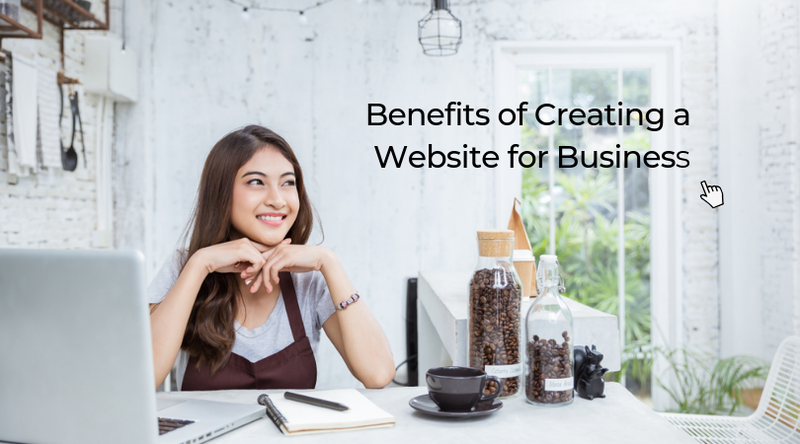 Your business will gain credibility by creating a website. Imagine now you are looking a new product that you would like to try or purchase, you will google search and find some sellers or website which has good reviews. So you have to make sure your website is stay updates and look professional otherwise you'll lose some potential customers. Your online business is a good chance for you to build and enhance customer rapport among your customers. By providing them offers, updates and appreciate their support, your customers will stay loyal and helps you promote your products through words of mouth.